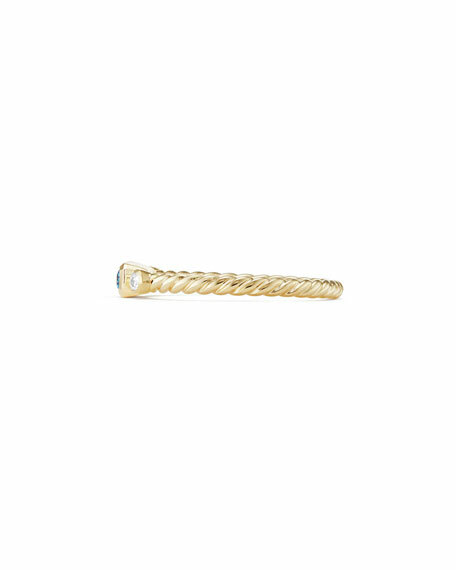 Novella baguette stacking ring by David Yurman. 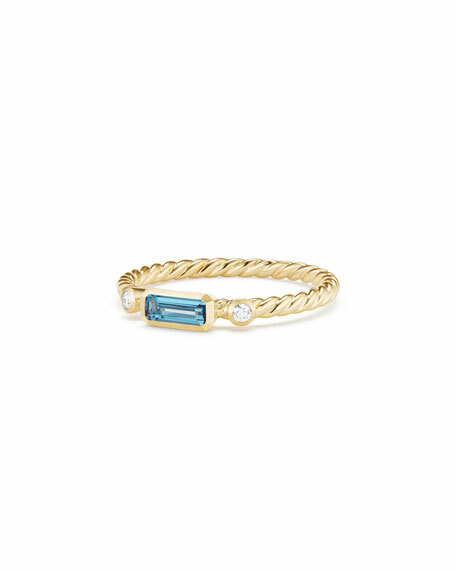 Single baguette-cut Hampton blue topaz center. Two round white diamonds at sides. 0.045 total diamond carat weight. For in-store inquiries, use sku #2522850.